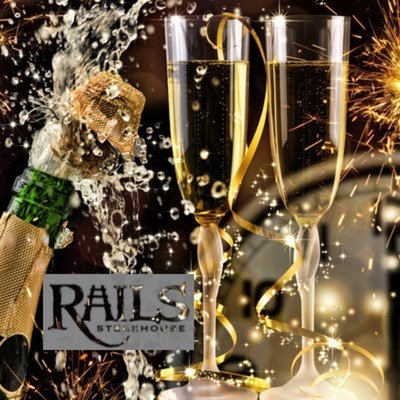 Celebrate New Year's Eve at Rails Steakhouse! We will also be serving Complimentary Pizza and a Champagne Toast at Midnight! LIVE music in the Rafter's Lounge with the Str8up Band at 9:30 pm.